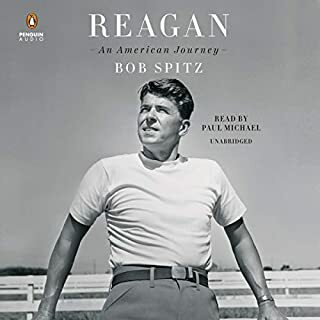 More than five years in the making, based on hundreds of interviews and access to previously unavailable documents, and infused with irresistible storytelling charm, Bob Spitz's Reagan stands fair to be the first truly post-partisan biography of our 40th president, and thus a balm for our own bitterly divided times. Absorbing and richly detailed, it is a revelatory chronicle of the full arc of Ronald Reagan's epic life - giving full weight to the Hollywood years, his transition to politics and successful run as California governor, and ultimately, his iconic presidency. Introducing… Ronald Reagan Live! Listen to live radio broadcast recordings of former President Ronald Reagan at his political best. Spanning several historical decades, Reagan's 1,000+ radio deliveries offered commentary on the spectrum of domestic, national, and international events that occurred throughout his lifetime, both prior to and during his unprecedented three-term presidency. 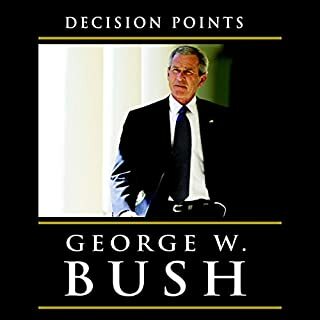 This Audio Book is a collection of speeches. Here is an intimate and revealing look at one of America's most private public figures. Although former president George Bush has been reticent in public, he has openly shared his private thoughts in correspondence throughout his life. 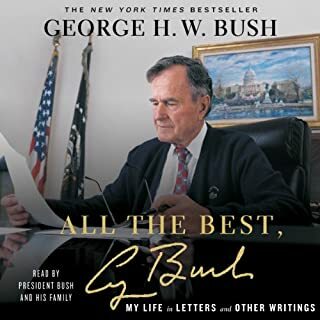 This collection of letters, diary entries, and memos, along with Bush's commentary, provides an insightful portrayal of the forty-first president of the United States. Ronald Reagan today is a conservative icon, celebrated for transforming the American domestic agenda and playing a crucial part in ending communism in the Soviet Union. In his masterful new biography, H. W. Brands argues that Reagan, along with FDR, was the most consequential president of the 20th century. Reagan took office at a time when the public sector, after a half century of New Deal liberalism, was widely perceived as bloated and inefficient, an impediment to personal liberty. President Bill Clinton's My Life is the strikingly candid portrait of a global leader who decided early in life to devote his intellectual and political gifts, and his extraordinary capacity for hard work, to serving the public. It is the fullest, most concretely detailed, most nuanced account of a presidency ever written, and a testament to the positive impact on America and on the world of his work and his ideals. From 1975 to 1979 Ronald Reagan gave more than 1,000 daily radio broadcasts, the great majority of which he wrote himself. These addresses transform our image of Reagan, and enhance and revise our understanding of the late 1970s - a time when Reagan held no political office, but was nonetheless mapping out a strategy to transform the economy, end the Cold War, and create a vision of America that would propel him to the presidency. Just the mention of his name still evokes deep admiration and affection among Americans of every stripe, on both sides of the aisle. Many have previously sought to capture the essence of this very public figure often called "mysterious and unknowable". But now, as James Rosebush tells Reagan's story from firsthand experience in True Reagan, we come closer to understanding the heart of this great American. One man, more than any other, has helped define the most important issues of our time. His name is Ronald Reagan, one of our nation's most powerful and popular Presidents. 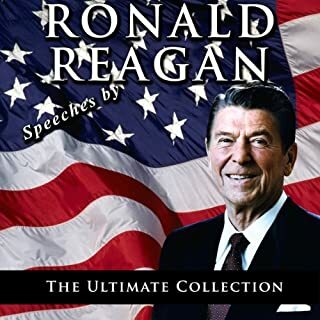 This extraordinary audio collection includes historical excerpts from selected addresses that span his political career, laying out his vision for America and the world. President Bill Clinton's My Life is the strikingly candid portrait of a global leader who decided early in life to devote his intellectual and political gifts, and his extraordinary capacity for hard work, to serving the public. It shows us the progress of a remarkable American who, through his own enormous energies and efforts, made the unlikely journey from Hope, Arkansas, to the White House - a journey fueled by an impassioned interest in the political process that manifested itself at every stage of his life. No one has ever captured Ronald Reagan like Peggy Noonan. In When Character Was King, Noonan brings her own reflections on Reagan to bear, as well as new stories - from President George W. Bush and his father, George H.W. Bush, his Secret Service men and White House colleagues, his wife, his daughter Patti Davis, and his close friends - to reveal the true nature of a man even his opponents now view as a maker of big history. During his two terms as the 40th President of the United States, Ronald Reagan kept a daily diary in which he recorded, by hand, his innermost thoughts and observations on the extraordinary, the historic, and the routine day-to-day occurrences of his presidency. Now, nearly two decades after he left office, this remarkable record, the only daily presidential diary in American history, is available for the first time. 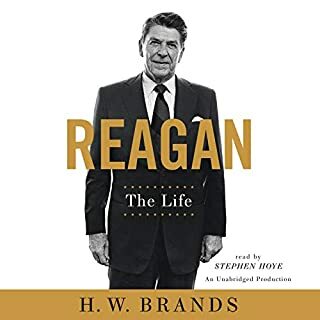 Edited by historian Douglas Brinkley, The Reagan Diaries provides a striking insight into one of this nation's most important presidencies and sheds new light on the character of a true American leader. Whether he was in his White House residence study or aboard Air Force One, each night Reagan wrote about the events of his day, which often included his relationships with other world leaders and the unforgettable moments that defined the era. Seldom before has the American public been given access to the unfiltered experiences and opinions of a president in his own words. To read these diaries, filled with Reagan's trademark wit, sharp intelligence, and humor, is to gain a unique understanding of one of the most beloved occupants of the Oval Office in our nation's history. If you take this audiobook at face value, yes, a lot of it is "went to meeting, talked to Mike Deaver", etc. If you read between the lines, however, you see where his heart was. His devotion to Nancy is remarkable. His ups and downs with the Soviets show raw emotion. He shares some personal family uprisings that show he was a real man, not perfect. His dedication to the diary speaks a lot to his character; he started something and finished it. The diaries reflect the true Ronald Reagan as one of the greatest presidents in the history of the United States. Not the Reagan portrayed by journalists (alternately the most dangerous man in the world or a dottering old fool). His love for this country and his firm conviction of the failure of communism are clearly evident. His mission to defeat communism is clearly the focus of his efforts. Most touching and refreshing is the devotion he has to his wife Nancy. The diaries show his humanity, faith, compassion, strength and morality. I have read the Truman Diaries, and this cannot be compared to the rich detail and indepth history that Truman provides. However, it does give an interesting perspective of the daily life of a President and the huge issues and decisions that he faces. I'd say that it is worthwhile from that point of view, to get an overview for the 8 years that he was president. However, don't expect to get any great insights into history from this one. 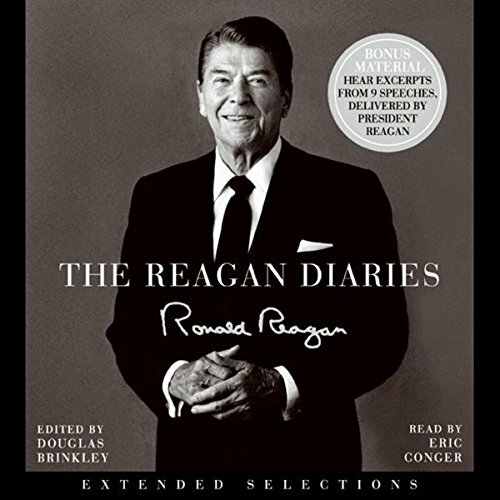 The book is an edited version of the daily diaries Reagan kept while he was president. They're short bullet entries. There are quite a few missed days; I guess that the editor did not believe them germane. The book showed the life of the most powerful person on the planet. His devotion to Nancy is remarkable. I was impressed at his response to the liberal press of the time--he seemed to hold no animosity, but rather viewed it as a contest: "I won that round" says he. Further, he seems to know when he had an impact with people...or not...and commented on same. His ups and downs with the Soviets show raw emotion and dedication to the people of both nations. The book shows that the RR who spoke to us on TV was for real. Would you listen to The Reagan Diaries again? Why? Proves that the RR who spoke to us on TV for 4 years was the real RR. Sincere. Loved the country he served. Worshipped his wife. Wanted to serve honorably and did so. The selections were balanced. The man's discipline showed through from year to year. I just loved. it was a love story too. Oh how he loved Nancy. and his country. If this sounds like something you'd enjoy; you probably will. It provides interesting insights and perspectives to our 40th president. If you don't think you'd like it, you probably won't. As it says - Reagan's Diary - read alloud. What did you like best about The Reagan Diaries? What did you like least? It is a nice collection of daily accounts from Ronald Reagan. Somehow I expected to hear his voice. Not so. Just a window to his thoughts or happenings while he was in office. Nothing exciting here. What three words best describe Eric Conger’s performance? Could you see The Reagan Diaries being made into a movie or a TV series? Who should the stars be? What was one of the most memorable moments of The Reagan Diaries? Have you listened to any of Eric Conger’s other performances before? How does this one compare? Great listen. You really get an inside look into the President. I find myself wondering how can anyone write a negative thing about this GREAT MAN. Well sometimes writers are only half as good as the subjects they write about. 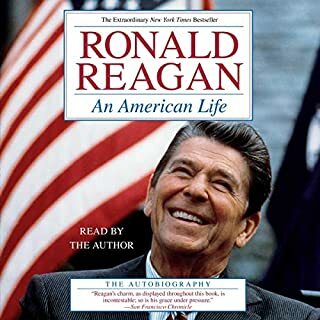 I always enjoy reading or listening to books about Ronal Reagan, this one is no exception. Very good but a bit rambling! A slice of history, essential for anyone interested in American politics, and global politics. Reagan says some things I disagree with, can come off bigotted, a bully in places, but he is a slice of history, you get a lot of feel for life in that white house, and for those out there who aspire to political office, perhaps give this one a try. I wouldn't go to 4 stars because it can be a little dull, but it's still a good buy if you're seriously interested in history / politics, heck, the 80s in general.